Working your way to legendary status as a singer/songwriter might be a marathon as opposed to a sprint. But Rodney Crowell blew out of the blocks awfully strong with songs that remain staples, written and recorded back in the mid-70s such as the immortal “’Til I Gain Control Again” (recorded by Emmylou Harris and Waylon Jennings, among many others) and “Ain’t Living Long Like This.” But things really exploded in his career after 1988’s Diamonds & Dirt yielded five hit singles and boosted Crowell into the country stratosphere. Since then he has continued releasing new music, but until last year’s long awaited Grammy award winning re-union/collaboration with Emmylou Harris, he hadn’t captured the commercial accolades of his earlier work. Still, rootsier efforts such as 2001’s The Houston Kid were critical favorites and showed Crowell had plenty of inspiration left. Which brings us to Tarpaper Sky, an album started in 2010 but delayed due to other projects. Even though it brings back many of the musicians involved in Diamonds & Dirt, it’s not meant as a follow-up. Recording the songs live in the studio shows Crowell’s confidence in his tunes and players, providing a warm, unforced sympathetic feel throughout. The opening laid back mid-tempo rocker “Long Journey Home” makes the album seem like a homecoming as well. While much of the material displays its reflective nature in titles such as “Oh What a Beautiful World,” “Famous Last Words of a Fool in Love” and especially the love lament of “I Wouldn’t Be Me Without You.” Yet swampy bluesy rockers such as “Somebody’s Shadow,” the Chuck Berry riffs that power “Frankie Please” and the frisky rockabilly with stand-up bass of “Jesus Talk to Mama” maintain the musical balance and keep the melancholy mood from dominating. The detailed story of “Grandma Loved that Old Man” is touching and seems autobiographical, but the light Jimmy Buffet tropicalia musical approach and meticulous lyrics that leave nothing to the imagination keep it from fully connecting on a more universal level. 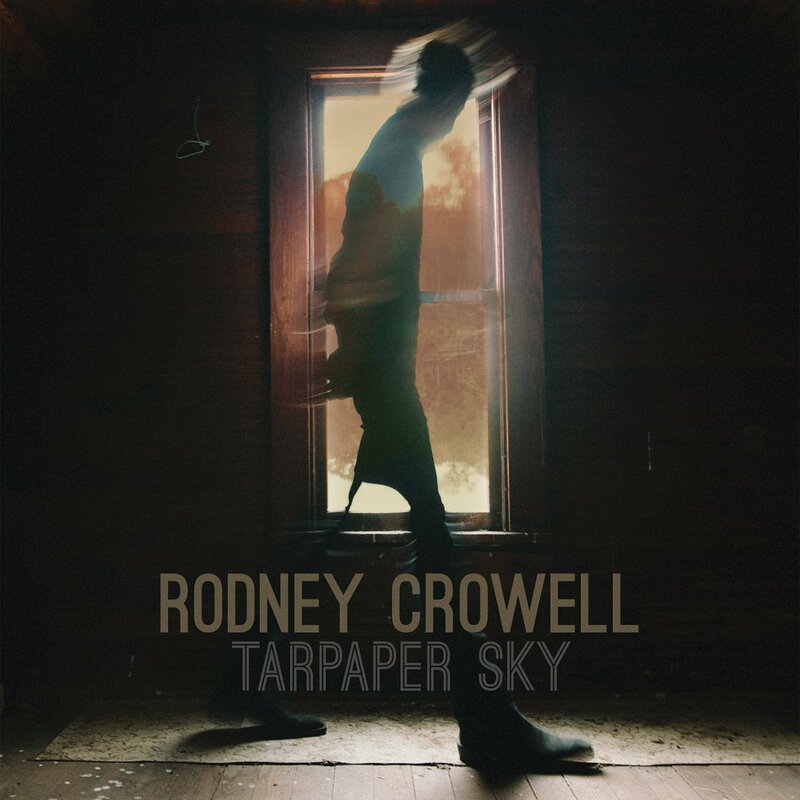 While it remains to be seen if any of these eleven tracks yields another legendary moment on the order of the ones Crowell has already penned, the organic Tarpaper Sky is a welcome reminder that at 63 he remains capable of releasing beautifully crafted music that can stand toe to toe with his best.